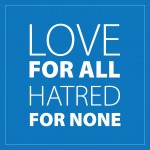 The three-and-a-half mile Charity Walk for Peace, organised by the Ahmadiyya Muslim Elder Association (AMEA) is wheelchair- friendly and aimed at attracting walkers of all ages, ability and fitness. It will raise funds for The Rosemary Foundation, FitzRoy, Home-Start WeyWater, Home-Start Butser, Age Concern Cowplain, Dementia Friendly Petersfield, Artscape, Challengers and The King’s Arms youth centre in Petersfield. AMEA will also be providing lunch for walkers. The event was organised after the success of last year’s inaugural walk from Bentley station to Alice Holt visitors centre, which raised more than £7,000 for charities in the district.